Charlottetown's premiere seafood restaurant located on the scenic waterfront. Enjoy the best of PEI seafood while relaxing on one of our outside decks or cozy dining rooms. 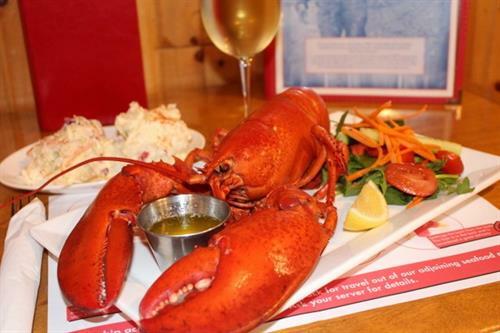 Lobster on the Wharf features a wide variety of local fare, including PEI lobster, Island Blue mussels, Malpeque oysters, steamer clams, Island beef, and one of the best varieties of local craft beer. Feel free to call ahead for reservations, whether it's a single table or your next company event. The seafood is sourced from across PEI. Our adjoining seafood market ensures that you are getting the freshest product available. From the seafood market we also pack for air travel and ship across Canada. You can get the best of Island seafood delivered directly to your door overnight. Order your seafood online via our website at www.lobsteronthewharf.com or toll free at 1-877-894-9311.